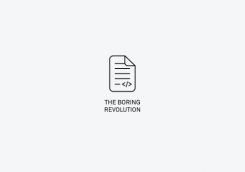 Innovation needs a Boring Revolution…. 11 Principles for Anticipating the Future of Governance, Regulation and our Institutional Economy. The below article was first published here as a blog post on the Dark Matter website. Yet, we have always known institutional innovation and innovation by “markets” — by which we mean all agents of change — is interlinked, and increasingly this reality is not only being better understood but also better articulated. Yuen Yuen Ang’s brilliant book How China escaped the poverty trap clearly articulates the crucial positive value and contribution of “weak” institutions in the Chinese growth story (countering the decades-long obsession with strong and stable institutions). From this emerging recognition, what can be learned by our developed economies and economies caught in the middle-income trap? How can we build a better capacity to manage the strategic role of regulation in an age of exponential technologies in order to unlock our stagnating economies, and increasingly (albeit relatively) strangled moral scopes of innovation. Yet, in many developed and developing economies, our current institutional infrastructure finds itself in the eye of the storm. Caught on the one hand by anaemic growth and development flatlining, global tech’s passive capture of our societies, an ever increasing populist call for de-regulation to unleash “Markets”, and, perhaps most fundamentally, an exposure to the exponential scale and scope of technological development which is starting to fundamentally overwhelm our regulatory norms, practices and means. When this reality is added to by public sector ‘austerity’ we have the perfect conditions for regulatory and innovation failure. The rise of the network business models — whose power and benefit to users grows in direct proportion to their market monopoly. How do we regulate and govern “natural” monopoly venturing? This is a reality, challenging the “Free Market” ideology at the core of the public private sectorial division. The decentralisation and distribution of production — through a combination of new technologies like 3D printing and cloud computing is also ever lowering the barriers of entry, challenging the established consumer rights, models of liability and warranting (through new peer-to-peer, sensor monitored quality assurance, or smart warranties and additive insurance models — some of the things we are working on at Dark Matter), and thereby fundamentally shifting our capacity, incentives and means of regulation. The increasing speed, proliferation and adoption rates of ideas, interventions and technologies is challenging the structural speed of our regulatory/institutional innovation processes and methods. 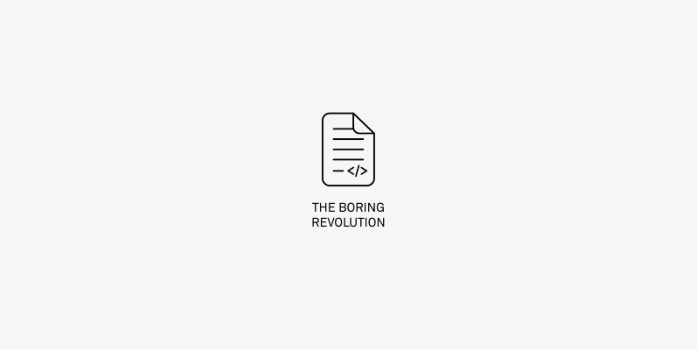 The rise of civic innovators — the ever lowering barriers of entry, combined with the lack of capacity of existing market providers to match need, has created a vacuum for “un” regulated civic and citizen innovators hacking, iterating and developing new products and answering and sharing personalised needs. This could be in a variety of fields, from medicine to teaching, challenging the capacity of regulation to govern the rise of open-source, hackable, micro-innovation futures. This reality is beautifully documented by Eric Von Hippel — please see here. The rise of influence — Over the last few years we have increasingly recognised the power of “bias construction” be it through the meteoric rise of behavioural economics, or the most recent consciousness of manufacturing discontent (i.e using Facebook as a means to manufacture “perspectives”). The shift in the role of power from the construction of choice to the biasing of choice and the rise of real-time, real-data designed influence, starts to ask fundamental questions as to the role of regulation, commodification of identity and influence, and what and how we choose to regulate in this liquid power world. Any future of regulation must address this new reality of power. A new dawn — New technologies such as smart contracting, programmable enterprises, machine learning, sensor driven analysis are fundamentally and systemically challenging our traditional institutional and regulatory infrastructure both in terms of methods and means. Surge pricing and social media micro-targeting are two present examples of how we are undermining a regulatory duty to objectivity and fairness. This is surely only the beginning. Integrated ecosystem venturing — Cloud-based computation capacity has fundamentally overturned the overhead and complexity of large conglomerates — making ‘ecosystem venturing’ a structural feature and advantage of 21st-Century enterprise. This is challenging the architecture, theory and assumption of how we make functional open markets in the 21st Century. The rise of the data science of injustice — be it how everyday discrimination drives premature deaths, to how poverty reduces IQ, or that the impacts of poverty can be transmitted genetically across generations, or how children living in high-stress households absorb less nutrients (even with access to high-nutrient diets) — together these and other scientific studies are starting to challenge our sense of justice, thereby accentuating the sense and lived reality of a divide between justice and the law. Bridging the divide between science, policy, law and justice, will be foundational in rebuilding a meaningful and legitimate regulatory landscape. Together, this shifting context and capability is challenging our current presumptions of regulation and institutional design as strong, stable and simple. Our 21st-century institutions and regulators will need to behave differently. We live in an age — where Matthew Taylor of the RSA rightly argues — “hierarchical methods are too weak, individualist drivers (purposeful business — don’t do evil mantras) wholly inadequate and solidaristic norms are as yet inarticulate.” We need a new institutional frame — which supports the creation of full spectrum pathway from low-regulation/high-governance environments to highly iterative real-time/real-data compliance regulation. 11 Principles for Regulatory Futures. This is a future which requires a new suite of Regulatory Design behaviours. AGILE: In moments of transition technology, we recognise innovation needs “weak institutions”; too often this is interpreted by the free “market” (read Feudalists) to argue for the dismantling of regulatory regimes and the weakening of institutional capacity (be it planning, zoning or financial governance). Instead what is required are more agile institutions and investment in growing the agile capacity of regulators to innovate. Regulatory Sandboxes as developed by the FCA are an initial foray into this future — creating the space for regulators to give clarification, exemption and interpretation to new technology and ventures. OUTCOME FOCUSED INNOVATION: In moments of transitions we must recognise institutional innovation is not only about innovating the methods and means of regulation offered by new technologies, but most importantly embracing new means of achieving outcomes. For example outcome-based planning driven by a real-time sensor economy, fundamentally challenges our land economy management models (something Dark Matter are working on). We need to start to reimagine radically how technology structurally reframes our means and places of regulation and thereby also the capacity for the “market” to innovate. GOVERNANCE NOT GOVERNMENT: In a complex, emergent world we need to grow institutional infrastructure for decentralised and distributed governance in the public interest. Technical Regulation is a useful tool for certain models of public interest enhancement but increasingly we also need to rebuild and reimagine the role of professional bodies with their public interest accountability , i.e doctors, architects, accountants and their Hippocratic oaths, professional codes of conduct which theoretically drive professionals to work for the public good regardless of who pays them. The “Profession” economy theoretically creates the institutional infrastructure for the decentralised and distributed advancement of public good — how, in this regulatory future, do we bring this economy into the 21st Century — with new models of peer-to-peer accountability and public governance that preserve the evolutionary capacity of practice — which allow us to technically deregulate planning whilst growing Professional Public Interest accountability. CAPACITY DEVELOPMENT: This transformation requires not the defunding of our institutional economy and its capacity — as has been tacitly argued and executed — but (counter-intuitively) this requires additional investment to drive research, development and innovation capacity . This does not mean driving better compliance (as would often be argued by the “left”), but, again counterintuitively, re-imagining what compliance could mean in a real-time sensor-driven, smart-contract future. DEVOLUTION: In this transition we need to further recognise we live in a complex and emergent world, in which the differences within national states can increasingly be as significant as the difference between states. In this world creating the conditions for innovation require us to decentralise and distribute the capacity for regulatory and institutional innovation to accommodate and address the real diversity, complexity and contextual particularity within nations. Devolution strategies therefore cannot just extend to investment decisions or tax-raising capacity, but must include the capacity for institutional and regulatory innovation. GOVERNING SYSTEMS: In this transition we must recognise we live in a time of fundamentally new models of agency, which transcend singular products or services. We must embrace system innovation and system venturing. This reality brings both new capacities but also new demands from our regulatory and institutional infrastructures — from understanding system balance sheets, to new governance models for preventing system collusion. This is a future in which we need to unlock the value of inter-dependency whilst not undermining capacities for divergent thinking and agency, or encouraging passive centralisation/quasi- monopolistic behaviours. PRE_REG STATE: However good our capacity to create an agile institutional infrastructure, we will also need to recognise the reality and criticality for creating a pre-regulatory (Pre_Reg) domain of agency — a place for prototyping, and experimenting in the real-world prior to the development of viable new regulatory technologies/techniques. This Pre_Reg state for say start-ups/business units or new public services under certain revenue bands can enable exemption from regulatory norms whilst subjecting these new ventures to higher quality new governance technologies and procedures. For example, under such procedures, all communications might have to be permanently recorded in a “black box” for retrieval and auditing at the point of failure (like an airplane), people might adopt radical machine readable transparency and OpenCo codes of conduct, or companies incorporate as public interest companies. Together, the purpose of the Pre_Reg state is to create the safe, viable finance necessary for experimentation (across civic, public and private sectors) both in the development of new services, products and interventions. It also develops regulatory means — through the creation of high-quality, high-contact governance environments, technologies and practices. BACK TO THE FUTURE: Historic principles like “transfer pricing” in vertically integrated industries, give pathways to addressing some of our digital ecosystem industries. Let’s start experimenting with how these principles can be deployed in digitally advanced economies. What would happen if for example Google had to provide open real-time transfer pricing between of all their discrete services — i.e digitally unbundling search from its advertising business. What if sub-contractor status could only be assured with the availability and offer of choice of platform providers, so Uber drivers being able to select alternative platform providers on the uber applications — with a portability and interoperability of personal ratings, payment mechanisms etc — in order to be classed as employees. What if we re-imagined user rights as a new asset class — an alternative to freehold and leasehold rights (Dark Matter is currently designing new models of Use Rights as tradable smart assets.) There is clear need and opportunity to materially re-interpret and experiment with regulatory principles in a fully digital world to help them become fit for purpose. SANDBOXING: A weak or fragile institutional economy also creates the capacity for “darker” behaviours — from exploitation, to regulatory capture, to driving structural lock-in — especially in a world of very powerful global multinationals. Great care is required to prevent such strategies and lock-ins, becoming new means of exploitation and lowering standards. Even in China’s recent gilded age, restricted borders created the relative safety and sandbox conditions for indigenous innovation and invention whilst maintaining “natural” incentives for enlightened self-interest behaviours. Similar preferences to indigenous and/or embedded innovation will be needed in any institutional innovation strategies powered by radical transparency, if we are to avoid the weakening of institutions to become the mere means of global or even local capture. INFRASTRUCTURE DEVELOPMENT: Building this new digitally advanced institutional economy needs us to build the infrastructure, the open api ecosystems, the machine readable and writable public registries, smart policy — linked to real-time data feeds and api, code law precedence. The Open Banking APIs — is a brilliant example of this infrastructure development — which needs to be scaled and replicated across the other sectors. PUBLIC LEGITIMACY: Finally and perhaps most critically, it is essential we invest and build public legitimacy, consciousness and awareness of the challenge we facing as a society. Without this — good intentions, capacity building and creativity will not be able to overhaul the deadly combination of legacy interest, lock-in and lethargy — to build the politics that are necessary for this future. Together, we believe, this proposed stack of intervention provides a framework for driving the structural regulatory/institutional innovation vital to achieving the scale of progress necessary both in terms of unlocking “growth” but also addressing the wicked challenges facing us in our survival as a civilisation, if not a species. Our future cannot be made by burning the “red-tape” but instead by making it agile and evolving it in all senses to make it fit for purpose. This is a future in which we need to simultaneously design markets fit for the 21st century and design for markets fit for the 21st century — only in rapid synchronicity can we move forward. This piece pulls together key conclusions from the work Dark Matter is doing around the world, fused with recent conversations and discussions hosted by Doteveryone in the London, UK and @IBEconomies in Copenhagen, Denmark. With great thanks to them both and the brilliant giulio quaggiotto for introducing us to the work of Yuen Yuen Ang. With Thanks to Jack Minchella and Eunji Kang at Dark Matter.